The Group’s management comprises an experienced team of industry specialists, the majority of whom have been with the Company since its establishment and have significantly contributed to its development. CEO and President of the Management Board. Mr. Omar Arnaout graduated in 2005 with a master’s degree from the Warsaw School of Economics – Banking and Finance. He is associated with the Company since January 2007. In 2007-2009 he held the position of the Sales Dealer. In 2009-2010 he worked as the deputy director of the Romanian branch of XTB and in 2010-2012 as deputy director of the Italian branch of XTB. In 2012-2014 Mr. Omar Arnaout worked as the director of the foreign branches office at Noble Securities Dom Maklerski S.A. and in 2014, he also worked as Sales Director and Chairman of the Management Board of xStore sp. z o.o. In 2014-2016 he held the position of the Retail Sales Director in XTB Limited in the UK and in 2016 Mr. Omar Arnaout became the regional director of XTB for Poland, Hungary, Germany and Romania. Member of the Management Board responsible for Trading. Mr. Filip Kaczmarzyk is a graduate of the Warsaw School of Economics majoring in Quantitative Methods in Economics and Information Systems. He started his professional career at X-Trade Brokers DM S.A. in 2007 in the Trading Department on the position of Junior Trader. Since April 2009 he held the position of Deputy Chief Trader. In November 2010 he began working in the CFH Markets in London in the Customer Support Department. From May 2011 to May 2015 he worked at Noble Securities SA, initially as the Director of the OTC Instruments Trading Office, and from November 2012 as the Director of the Foreign Markets Department. Mr. Filip Kaczmarzyk returned to XTB in May 2015 for the position of the Director of Trading Department. Chief Financial Officer and Member of the Management Board at XTB. Mr. Paweł Szejko commenced his professional career in 2003 in the Audit Department of BDO Polska sp. z o.o., where he was employed until 2006 as, among others a Supervisor. From 2007 to 2008 he worked as a Senior Consultant in the Audit Department of PricewaterhouseCoopers sp. z o.o., and then, from July 2008 to September 2014, as the Director of Finance and a member of the management board at P.R.E.S.C.O. GROUP S.A. 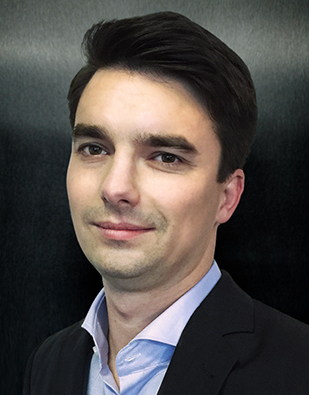 Since October 2014 Mr. Paweł Szejko has worked for the Company as Director of Finance and since January 2015 as a member of the Management Board. Mr. Paweł Szejko graduated from the Higher School of Banking in Poznań (WSB) and from the Poznań Economy Academy, where he specialised in Business Finance and Accounting. In 2007 Mr. Paweł Szejko was awarded an ACCA certificate in International Financial Reporting. In 2008, he was registered on the list of certified auditors at the Polish National Chamber of Statutory Auditors and in 2009 was awarded a accountancy certificate by the Ministry of Finance. Member of the Management Board responsible for Legal. 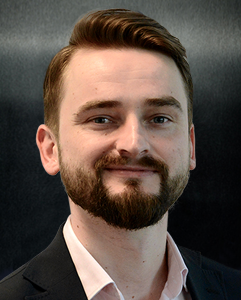 Mr. Jakub Kubacki graduated in 2009 as a Master of Law from Koźmiński University, then he completed his training advocate and in 2013 passed the Bar exam at the District Warsaw Bar Association he was admitted to the Bar. In 2010 he started his professional career at XTB in the Legal and Compliance Department, where since 2012 he has been the Compliance Officer. From 25 April 2018 he became the Director of the Legal Department. He specializes in capital market law. 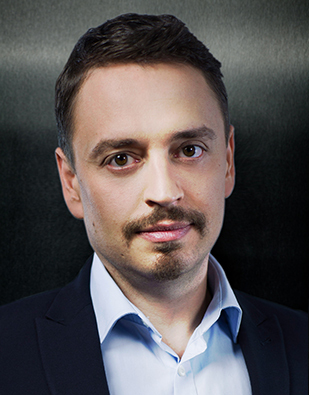 Mr. Jakub Kubacki is responsible for legal affairs and internal control in the XTB Group.